A few months ago Jesse’s dad came down to visit, and we were planning on going out to dinner. We wanted to avoid chains so I took to Google and had a look at restaurants. I came across Archipelago at the Hove end of Western Road. 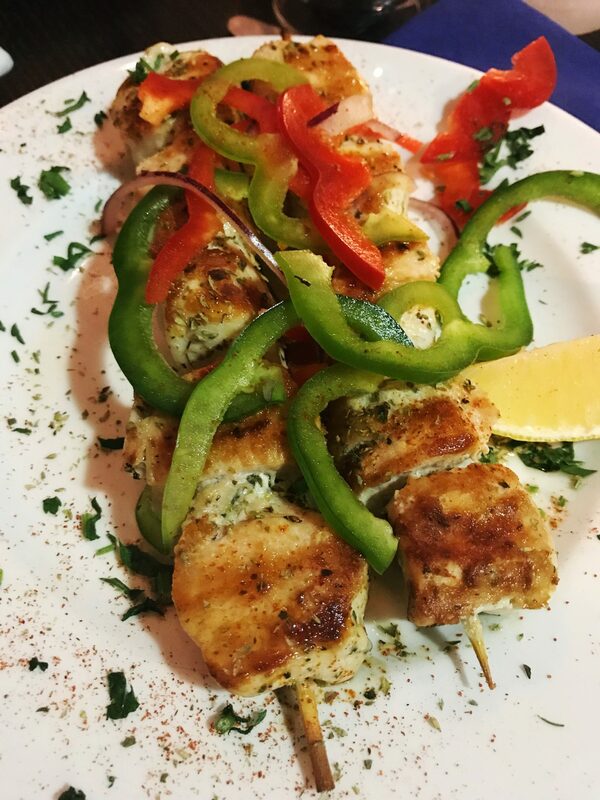 I am a little bit obsessed with Greek food, which comes from going to Greece regularly as a child. It’s definitely one of my favourite places to go. So we decided to take him there. I completely forgot to take any photos of that meal but it was seriously good. 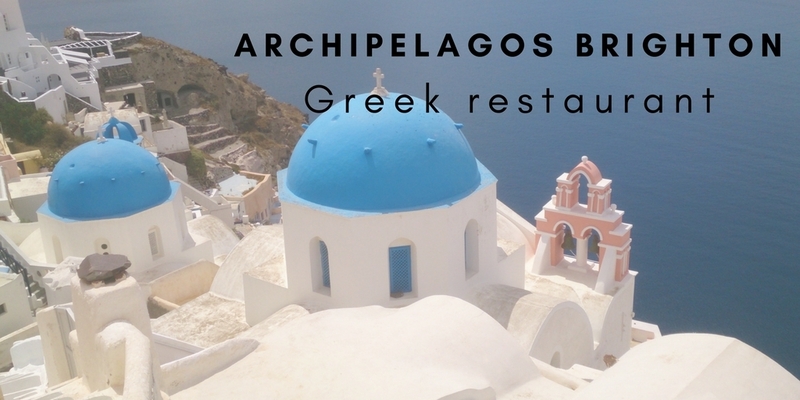 So when Jess asked where I would like to go for my birthday which was yesterday, there was only one answer –Archipelagos. It is quite a small restaurant, and it’s always busy so it’s definitely wise to book. Last night there was a group of 12 in there so it’s popular with large groups as well. One of the things I liked was that although there was a large group in the restaurant it also felt quite intimate. The lighting isn’t bright and in your face, it’s kept low which is nice. 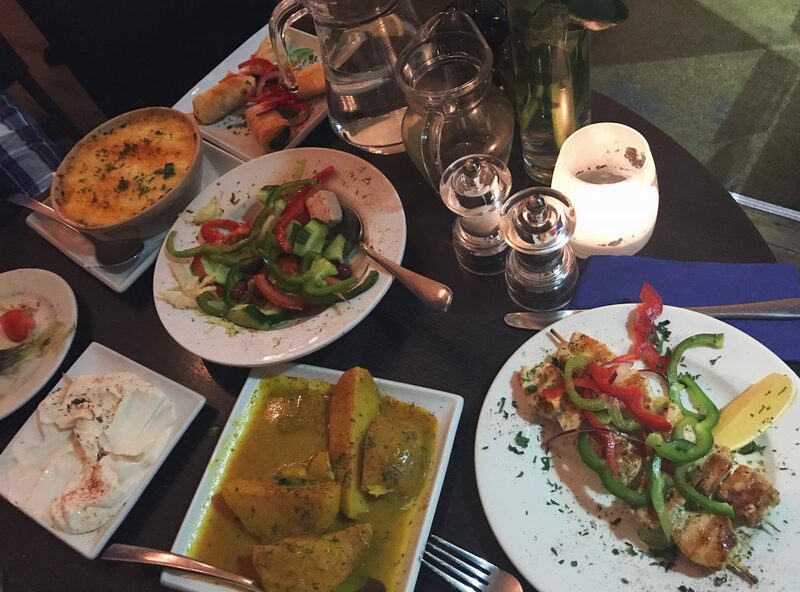 The menu caters to both meat eaters and vegetarians, and there is something for everyone. The first time we went I ordered a main meal which could have actually fed both of us, it was so big! This time we decided to pick out a few of the smaller plates and share all of them between the both of us. Even the small plates were pretty big! 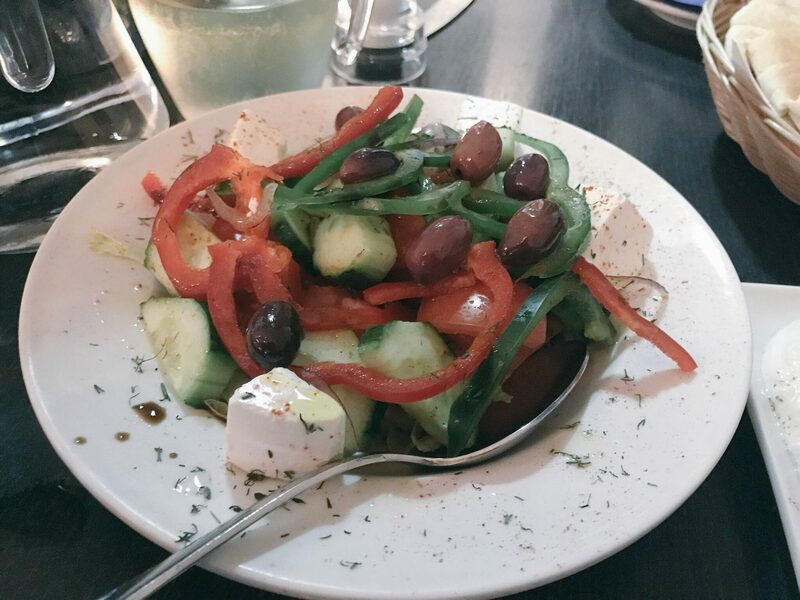 First of all we picked the traditional Greek Salad, which was packed full of flavour and fresh herbs on the top. 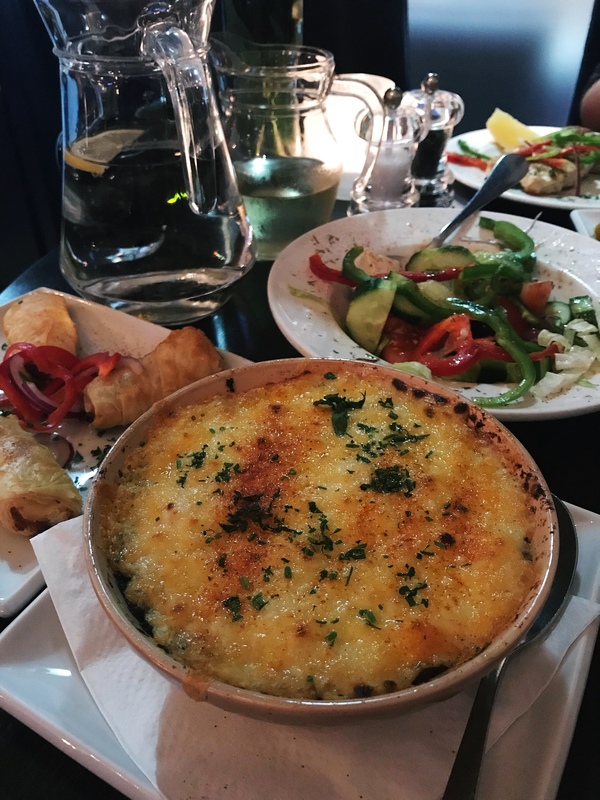 Next up we decided to pick the meat moussaka as last time I went for the veggie one so we could compare the two. I have to say I think I actually preferred the veggie one, but the meat one was amazing as well. Full of lamb, potato and aubergines, mixed together with the sauce, cheese and cinnamon and nutmeg. It was delicious. As you can see our table was perhaps a bit small, or we just ordered a bit too much. But this was our whole meal. 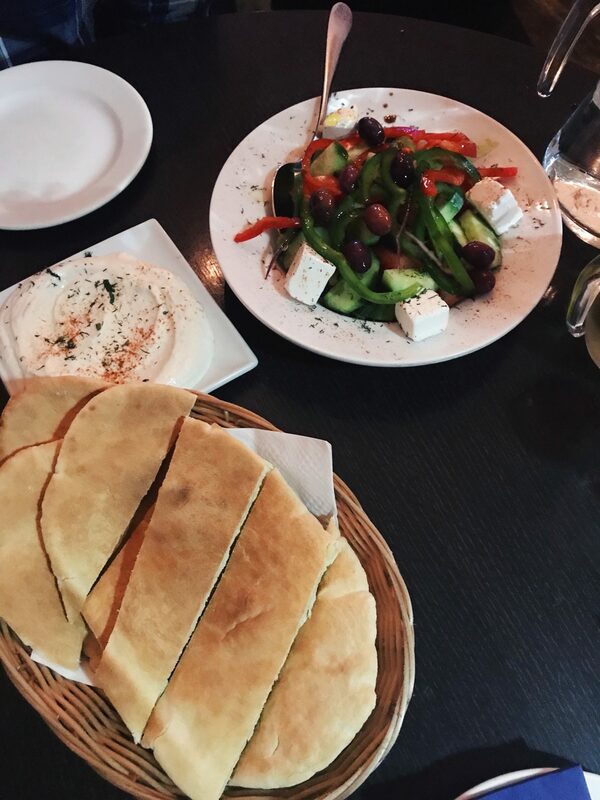 On top of the greek salad and moussaka, we ordered spinach and cheese pies, chicken souvlaki, pita bread and taramosalata, and finally some lemon, garlic and oregano potatoes which were delicious! 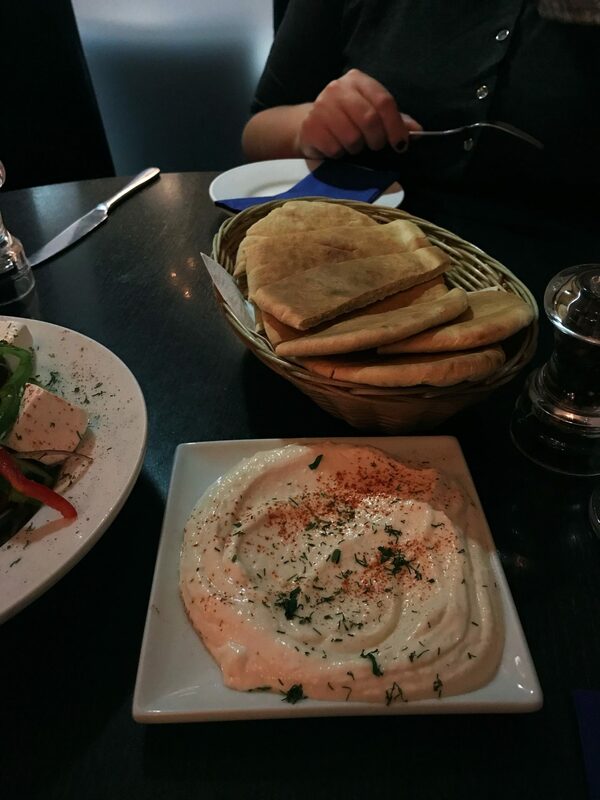 Like seriously, so good, and they went so well with the souvlaki. If you need any help with the menu the staff will help you out. 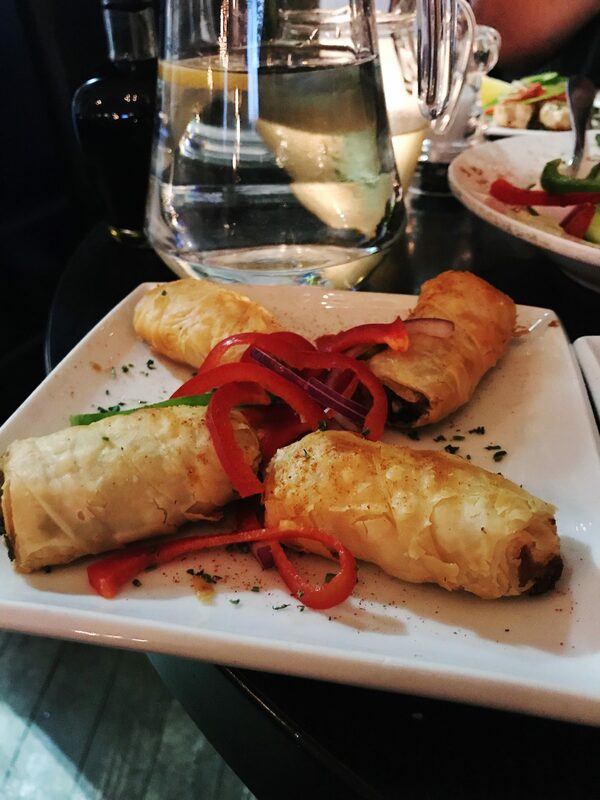 The souvlaki was really tender and soft, the chicken wasn’t rubbery or over cooked at all, and I might be dreaming of the cheese and spinach pies for a while. Sometimes I find taramosalata a bit too fishy, but this one wasn’t. It was so good Jess was tempted to eat it just with a spoon! Everything was just really good, we left completely full and very very happy. We were not asked to do this review, and we paid for the whole meal. I just wanted to really share this restaurant with everyone because it’s so good.